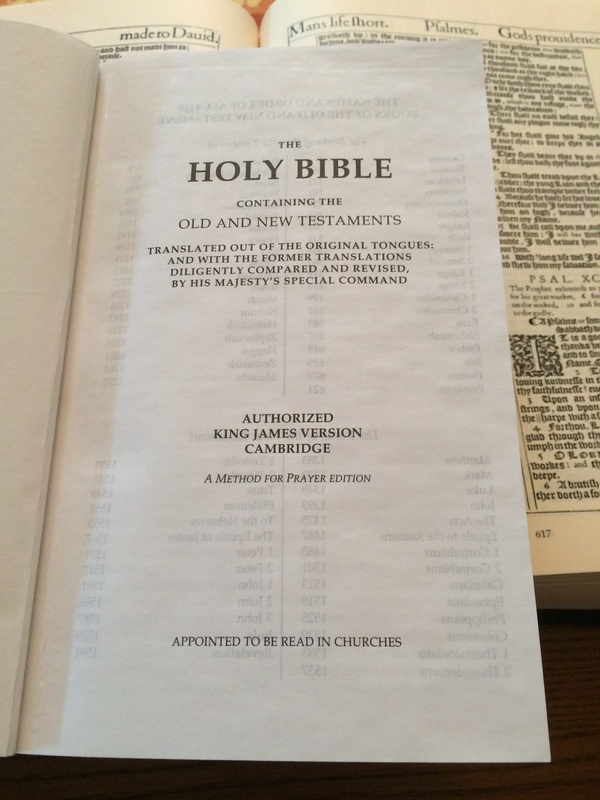 The KJV Paragraph Bible (Pure Cambridge Edition) and ‘A Method for Prayer’ by Matthew Henry in one book, is a one of a kind Christian companion. 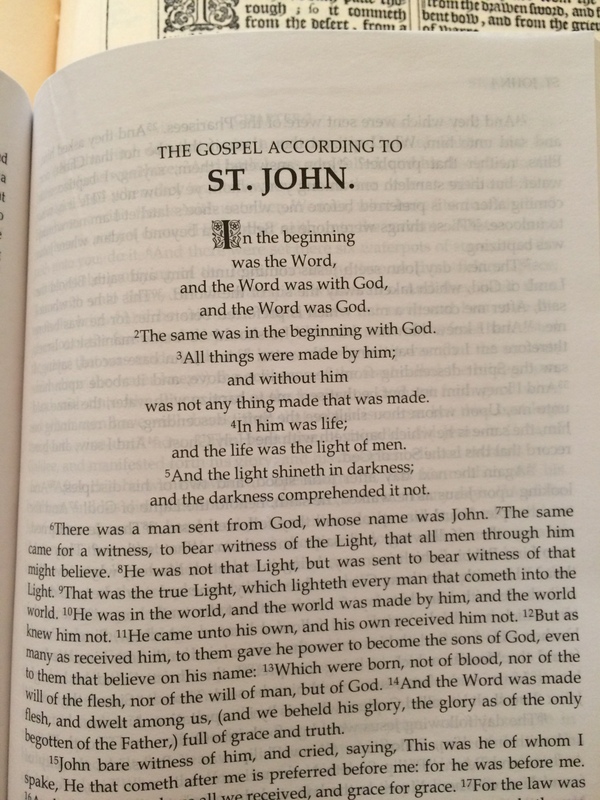 This unique Bible is one of the free publications I have created for my outreach book ministry, and I have a large amount to distribute. 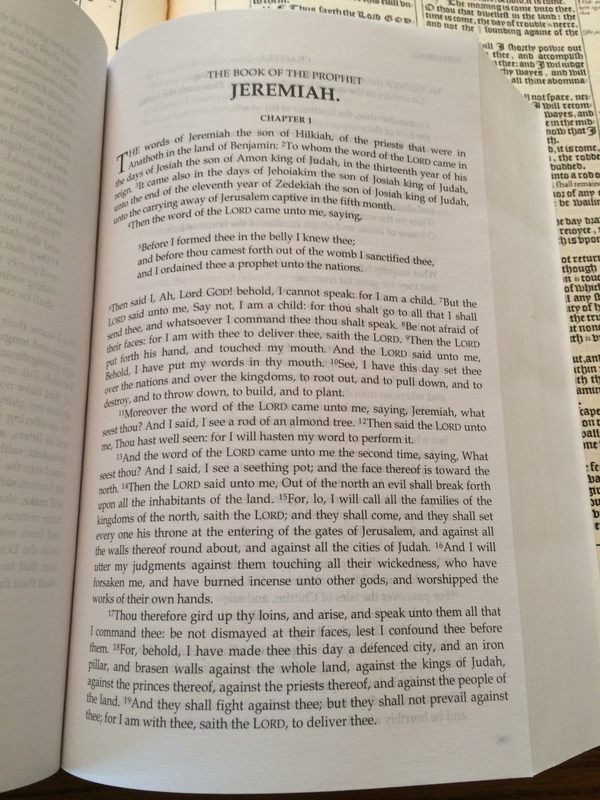 The KJV is in paragraph form, (see pictures) it is ‘A Method for Prayer edition’ (it is formated in the Book Antiqua font and has no italics in the text. 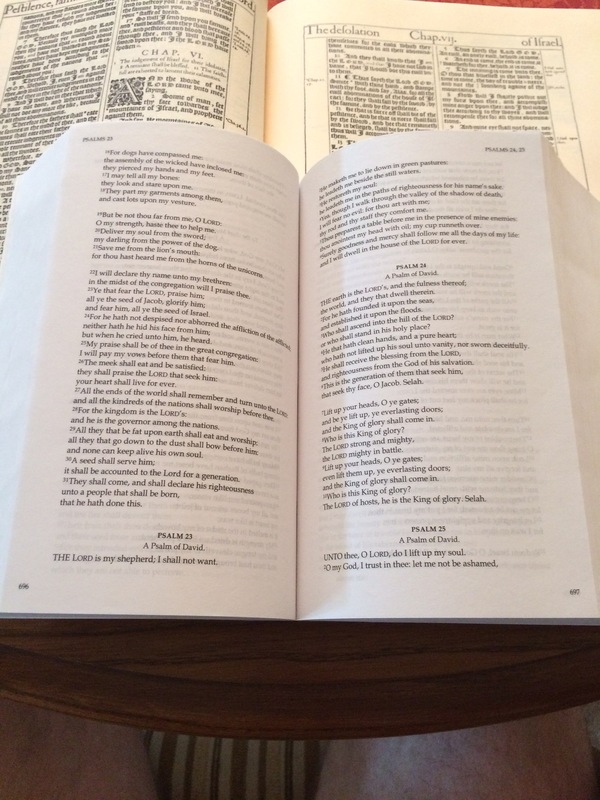 All the verse lines in the text lineup with the page behind it, so there is no ghosting or see-through on the page you’re reading, making it easy to read and focus on the words. 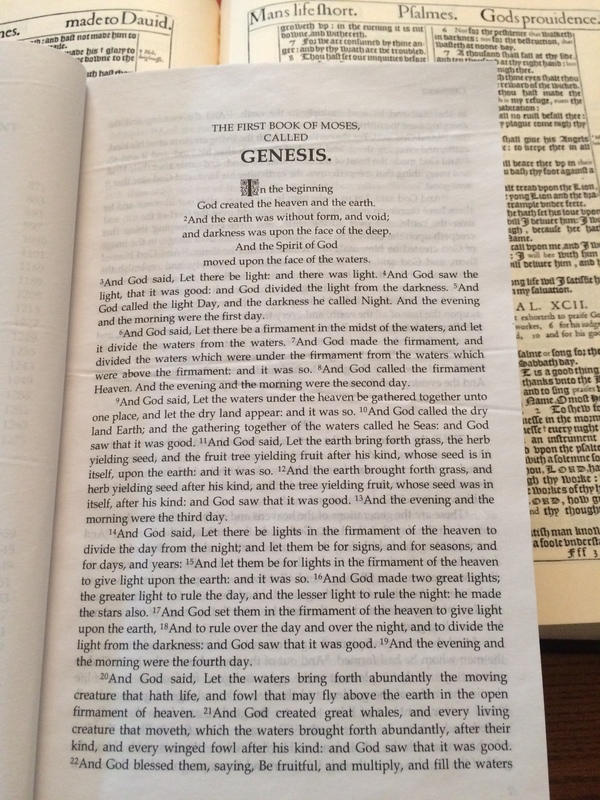 The cover is a flexible black vinyl with gold stamping. 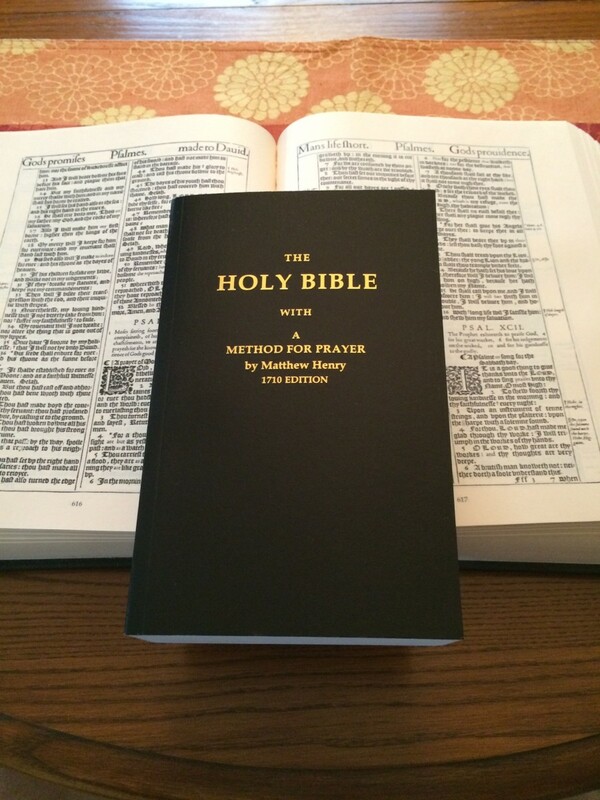 This Christian companion has all you personally need for your Christian life. 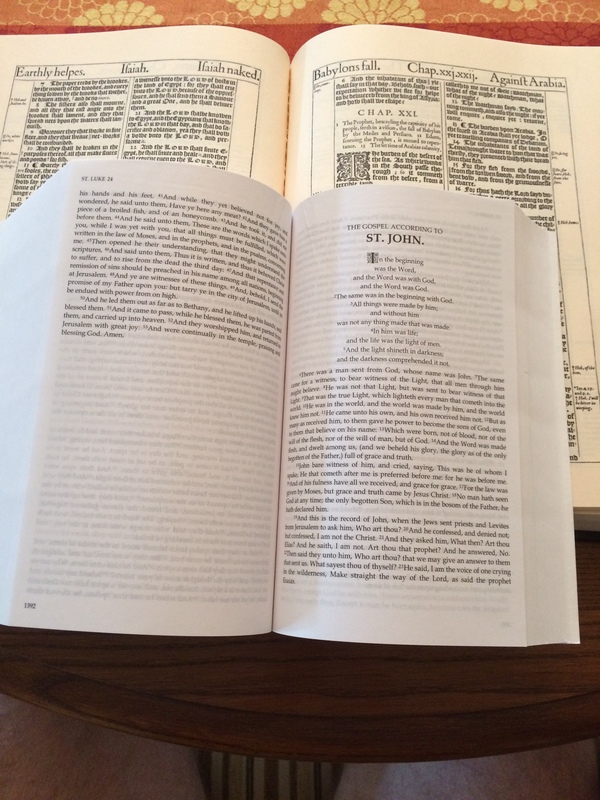 (that is reading the Bible and praying). 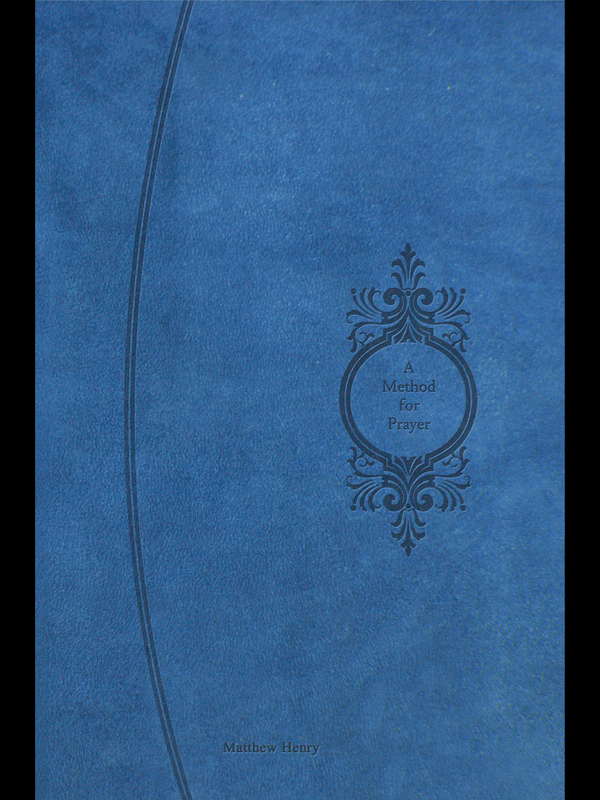 With all the cross references in A Method for Prayer, you will have the Bible with you in the same book to have more understanding of each of the prayers and Affections that are provided. 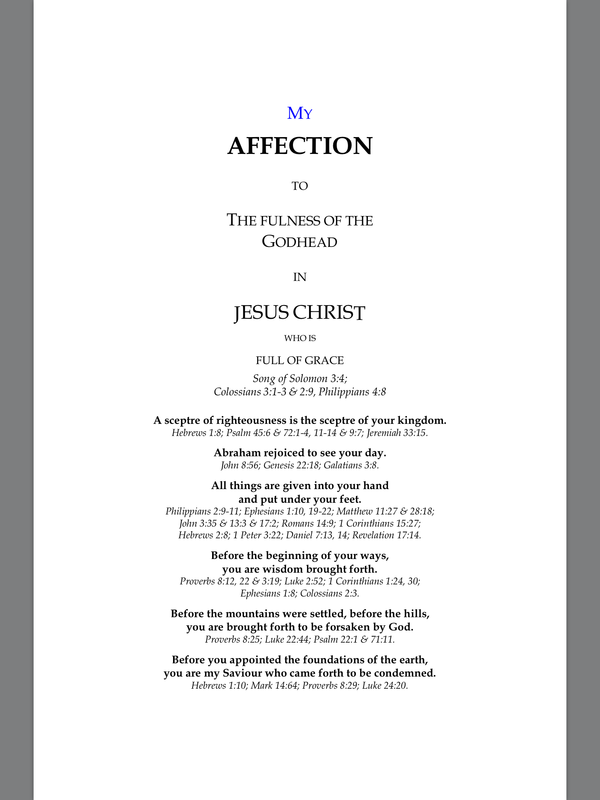 –An Introduction to My Affection, by Dr. John Owen. 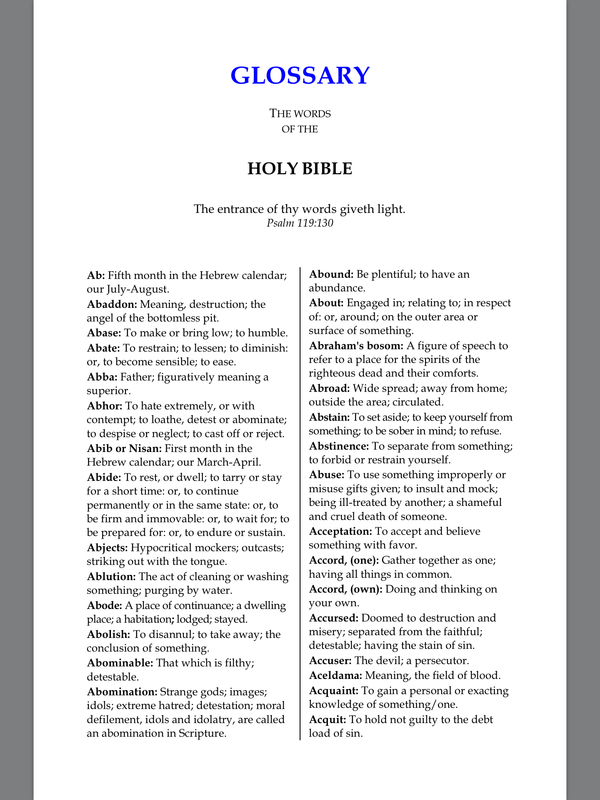 –A Glossary containing 2400 words of the King James Bible. 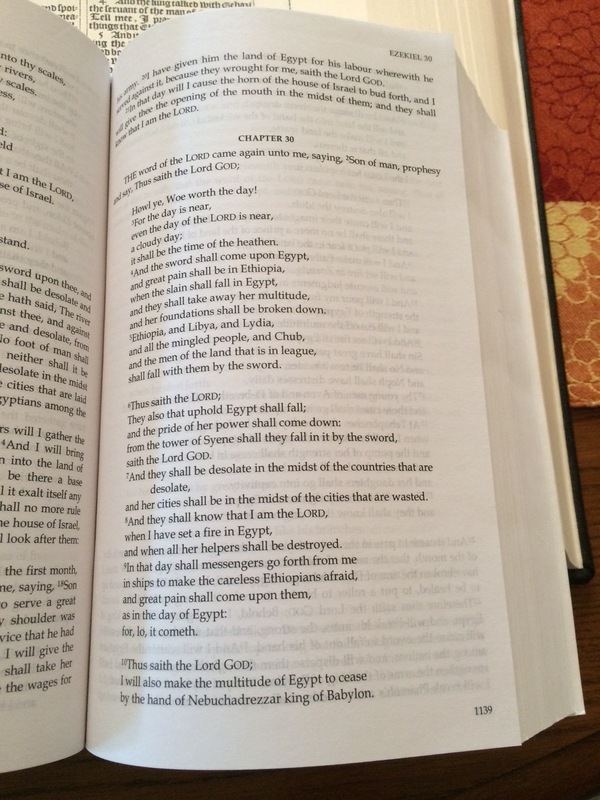 –And a daily Bible reading plan. 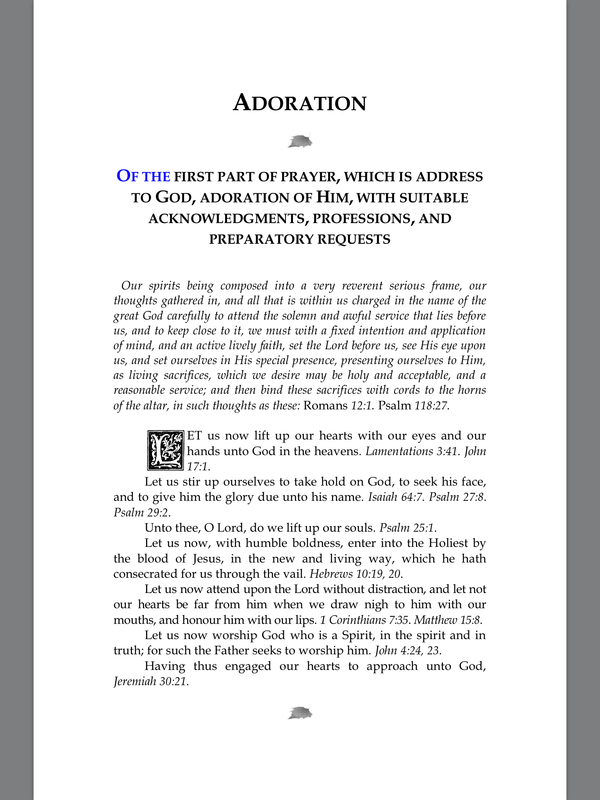 Book size is 8.5 x 5.5 at 2.1/8 thick and has 2030 pages. This book is not sold anywhere in stores. 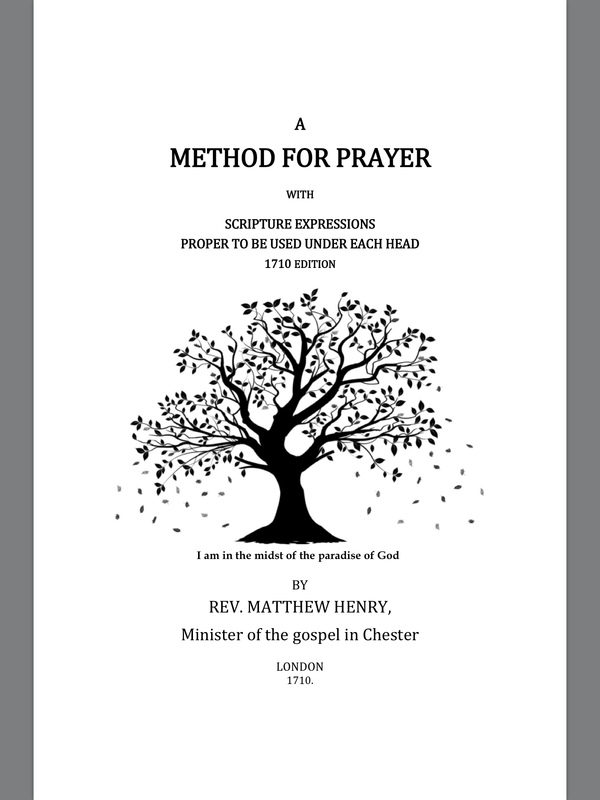 This entry was posted in NEW $0.99 -KJV Paragraph Bible, Uncategorized and tagged KJV Paragraph Bible with 'A Method for Prayer' by Matthew Henry. ← You are glorious. 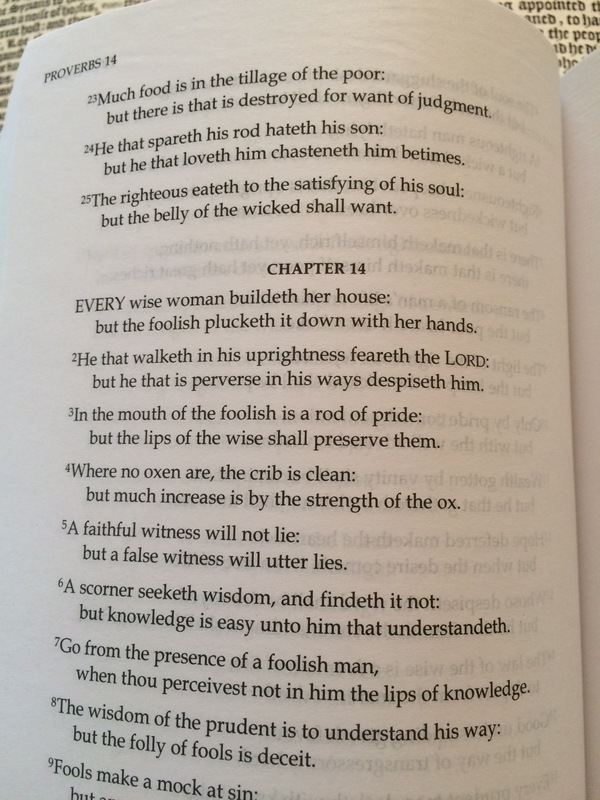 Isaiah 4:2 & 49:5; Exodus 15:6; Psalm 76:4; Philippians 3:21.